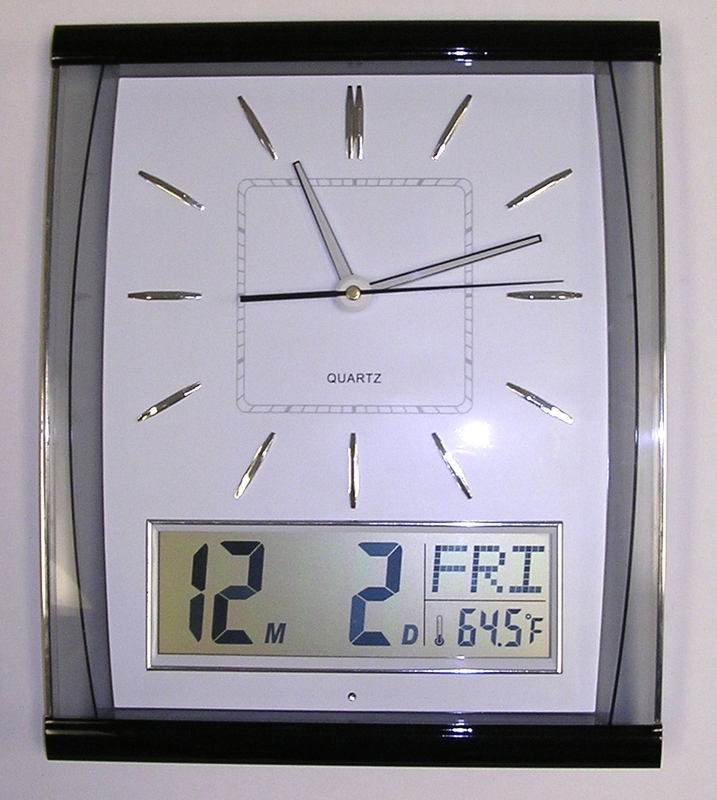 Digital inset displays date, day of week and room temperature. Quartz display with contemporary look and trim. Operates on 4 AA batteries, not included.